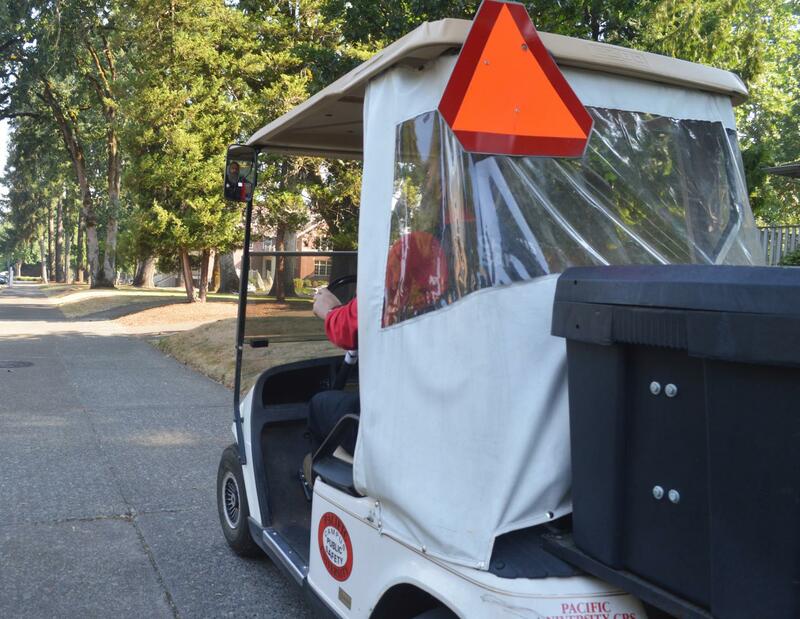 The work never stops at Pacific University’s Campus Public Safety (CPS) office. Even when all the students and faculty have gone away on summer vacation, CPS officers stay ready at hand keeping the Boxer community protected. According to CPS Manager Jerry Rice, there have been no major safety violations or infractions on the Forest Grove campus this summer. However, there has been a small uptick in graffiti and vandalism incidences around campus in recent weeks. With the start of a new school year right around the corner, Rice said the focus of CPS officers will soon shift to welcoming back new and returning students. One of the major priorities for Rice and his team, at the start of any new semester, is to highlight the different services CPS offers. Another priority is to make connections with members of the Pacific community, especially students. According to Rice, any student or member of the Pacific community who plans to park their car on the Forest Gove campus this semester will need to make themselves aware of the new parking policies being implemented by the City of Forest Grove. Rice recommends students and faculty remember to be sure to clearly display a valid parking permit in their window when they do park on campus, to avoid any unwanted fines. Parking permits can be picked up at the Student Life desk in Clark Hall. Rice said he is excited for a new school year at Pacific, especially welcoming the new students.